Jayant Impex Pvt Ltd, Mumbai, India is engaged in Industrial supplies can offer wide range of Pipe Elbows, Joints Couplings from ready stock or on make to order basis are currently supplying to UK, Iran(Tehran), Saudi Arabia, Spain, Bahrain, Nigeria, Dubai, Egypt, Malaysia, etc. various steel products such as Angles, Channels, Beams, Billets, Blooms, Round Bars, Square Bars, Rectangular Bars, Flat Bars, Forged Bars, Rolled Bars, Concast Bars, Pipe Flanges, Elbow, Tee, Reducer, Cross, Stub End, End Caps, Forged Stampings, Pipes, Tube, Tubing, Fasteners, Bolts, Nuts, Washers, Screws, Studs, Plates, Sheets, Coil, etc. Various type of IBR approved Pipe Elbows, Joints Couplings that can be procured are as follows: 45° Elbow, 90° Elbow, 180° Elbow, Equal Tee, Unequal Tee, Concentric Reducer, Eccentric Reducer, Cross, Stub Ends, Weldolet, Threadolet, Sockolet, Hammer Union, etc. 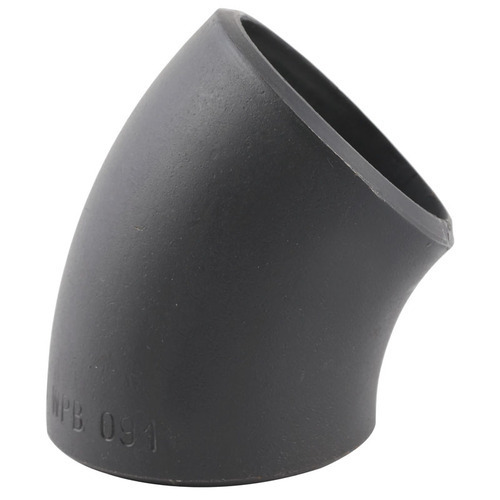 We stock, supply, export, wholesale Pipe Elbows, Joints Couplings which are used in applications of Engineering, Construction, Oil Field, Offshore, Shipbuilding, Nuclear Projects, Marine Projects, Medical, Instrumentation, etc. We can supply smaller quantities of Pipe Elbows, Joints Couplings from our associated manufacturing unit in India. If any requirements for IBR approved Pipe Elbows, Joints Couplings kindly do contact us.